Project 1493’s business relates to the acquisition, development, and operation of medical marijuana dispensaries in Puerto Rico. Simultaneously with the share exchange, SRFK advised GSRX on a private offering for gross proceeds of $3.3 million consisting of 8,461,538 shares of common stock and warrants to purchase up to 2,538,462 shares of common stock at an exercise price of $0.50. The transaction closed on May 11, 2017. 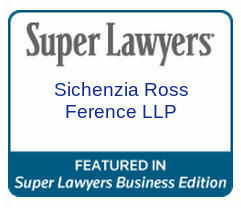 The Sichenzia Ross Ference Kesner LLP team was led by Partner Darrin M. Ocasio, Counsel Cheryll Calaguio, and Associate S. Ashley Jaber.